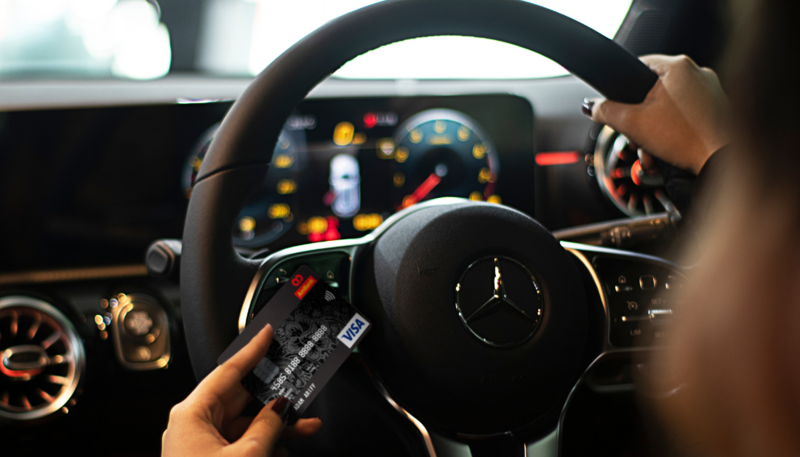 You're Already Swiping That Card, So Why Not Try To Win A RM227K Mercedes-Benz Car Too? I consider myself to be one of those shoppers that hunt for ways to make my purchase a lot more rewarding than it already is. Whether it be through gift-with-purchase deals or those buy-2-free-1 bargains, it’s always an overall more satisfying experience when you get to walk away with these additional perks. 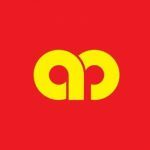 To give their credit cardholders this same experience when they go shopping, AmBank has launched their latest campaign called “Level Up Your Lifestyle” that is running from 20 December 2018 to 30 June 2019. The good news? 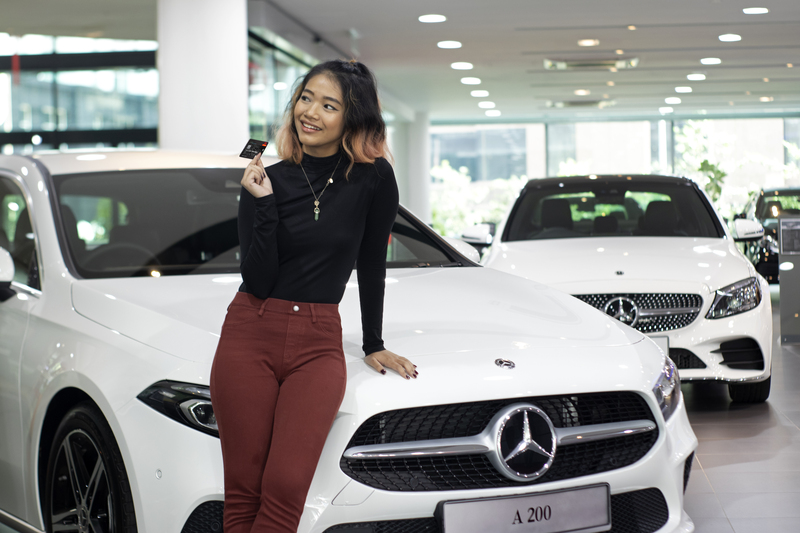 You just have to spend a minimum of RM50 to collect as many “entries” as you can to win the Grand Prize, the all new Mercedes A-Class. The better news? There are two Mercedes A-Class up for grabs! Perfect time to bring home a new car for the holiday season! 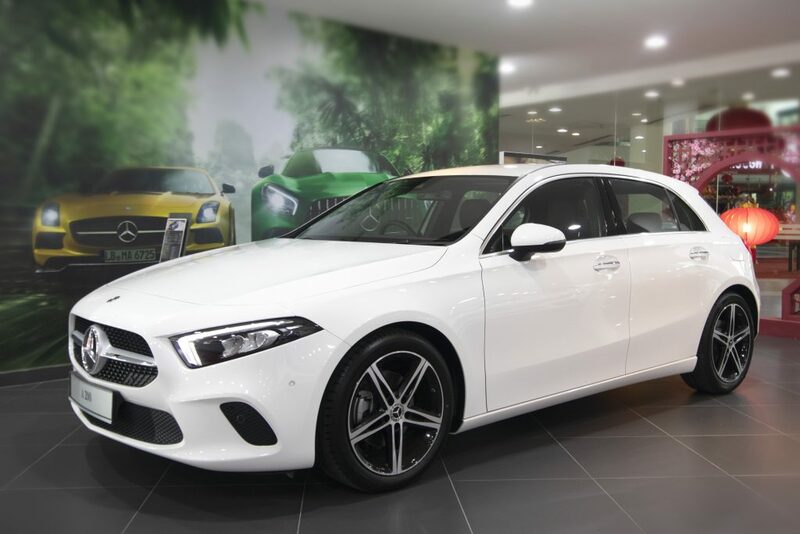 If you need a little more convincing, this sleek and stylish car lives up to its tagline of “Just Like You” because of all its navigation features that are customisable to fit to your needs. You can find out more about it through our article here. Aside from that, AmBank is also giving away 193 Lazada vouchers worth RM500 daily. Basically your shopping could be rewarded with more shopping. You’re rewarded with a certain number of entries, based on your shopping activity. There are two type of entries to take note of, the normal entries as well as the bonus entries (but both entitle you to win the same prizes). Notice how easy it is to get entries and rewarded for every RM50 spent in a single receipt when shopping in retails? Do note that you can only gain bonus entries if you’re an eligible cardholder and participant of this campaign. You’re also only entitled to get 5 bonus entries for each campaign phase (Hint: opening 2 savings accounts will not get you 10 entries). All winners will be announced at the end of each campaign phase so you still have plenty of time to accumulate your entries. The AmBank team’s personal tip would be to use the AmBank credit card as your main mode of payment for your everyday use. This way, you can easily go about your day and run your errands while also piling up entries on the side! One of the most intelligent and sophisticated cars on the market right now! Hold on, if you’re already an existing AmBank credit card holder, you’re NOT automatically enrolled in the contest. The first thing you need to do is register yourself. You can register on the campaign website directly or you can text LEVELUP<space>12 digit NRIC number to 66300. An example would be LEVELUP 880108101234. As long as your credit card is approved and activated during the campaign period, you’ll be automatically enrolled as well as get an addition 5 bonus entries. It’s simple, the more entries you have, the higher your chances of winning. The key here is to register ASAP so you’ll be able to gain more entries every time you use your AmBank credit card. For more information about the contest, you can head to the main page here. Also head here to read the Terms and Conditions. This article was written in collaboration with AmBank. The HTC One M9 Is Finally In Singapore: It's Good, But Is It Good Enough?